Everything you need for your muscles. Leucine, isoleucine, and valine help maintain muscle quality and provide a quick energy boost for your workouts. Wanna maximize your performance? Our BCAAs keep you going with high-quality essential amino acids. Human hair and duck feathers? Not in our BCAAs. We’re committed to sourcing raw materials from the cleanest sources. That's why we use fermented corn kernels to create essential amino acids that are 100% vegan and have a high biological availability. No, capsules don’t have to be made from processed slaughterhouse waste. Everything in our BCAA Capsules is plant-based, and our capsules are 100% vegan. What are they made of? Only cellulose fibers from natural, renewable raw materials. Wanna maximize your performance? Then you need to train harder. And longer. With our BCAAs. Because if you run out of steam, you'll get left behind. Our BCAA capsules. In a class of their own. 2 As a percentage of the reference values for daily intake (= nutrient reference values). May contain traces of gluten, egg protein, milk (incl. lactose). Take 4 capsules with plenty of liquid before your workout. Take 4 capsules a day if you exercise more than 3 times a week. For a power boost before an intense workout, combine our BCAAs with creatine. I take them before workout and have more power. But important to take them 30 minutes before workout. woulgd be nice if the effect would come a bit earlier. Ideal to take before the workout. I feel like I have more power and endurance. I take the capsules before training and I´m totally pleased. I can workout with much more power. Who should use BCAA capsules? The BCAAs include the three amino acids leucine, isoleucine and valine. They are essential amino acids and have to be obtained from food as the human body does not produce them. BCAA capsules are useful for weight training and endurance sports and should be used for long workouts as part of a muscle building or muscle maintenance regime. This makes them THE all-rounder in the wold of dietary supplements. What makes BCAA capsules so special? The greatest benefit of BCAAs is that they are metabolised directly in the muscle cells without a detour via the liver. They can therefore supply energy faster. This is important because muscles consist of around 35% BCAAs and these are particularly useful for preventing catabolic processes, which break down muscle mass. In order for BCAAs to be effective, they should be taken at a ratio of 2:1:1, i.e. twice as much leucine as isoleucine and valine per portion. That is because the body requires different amounts of the three amino acids. On a daily basis, the body needs twice as much leucine as it does isoleucine and valine. However, this basic requirement increases significantly with physical activity. High-quality BCAA capsules are produced using fermented raw materials of plant origin like corn or sugar cane. Cheap products often contain amino acids extracted from human hair or duck feathers. Their bioavailability is significantly less in these supplements, as the body is not supplied with as many “true” BCAAs. 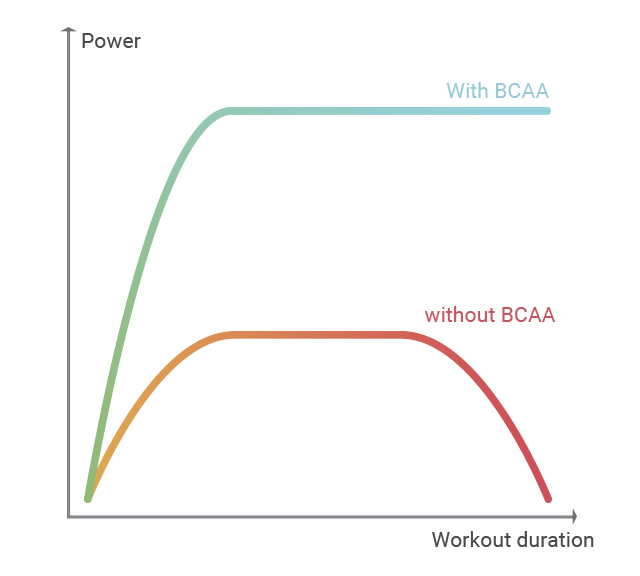 One area of application where BCAAs are important is muscle definition. A low-calorie regime is very stressful for muscle tissue. BCAAs can help supply the muscles with essential amino acids and prevent muscle loss. If you want to burn fat, you should do your workout on an empty stomach. With the glycogen stores almost empty, the body draws on its own fat reserves for energy, even after short workouts. Taking BCAA capsules before training prevents the body from synthesising its stored muscle protein for energy. BCAAs therefore help maintaining muscle mass during muscle definition phases. BCAAs are essential to muscle-building processes. The amino acid leucine in particular, which is included in large parts in our BCAA capsules, plays a key role in protein biosynthesis. Taking BCAA capsules directly after training provides the body with these essential amino acids in high doses (especially leucine). Our body is then made aware that there are enough protein elements available for muscle building and that it should start profiting from them. This accelerates protein biosynthesis, which is responsible for the continuous generation and breaking down of protein elements. The amount of free BCAAs in the blood drops during physical activity, because readily available amino acids are burnt first. The body then draws on its own stored resources. Once these are exhausted, the body starts breaking down the existing muscle tissue. When this happens, we speak of so-called catabolic processes. That's why, depending on your physical goals, it is a good idea to supply your body with sufficient BCAAs to interrupt this process and have a sufficient supply of essential amino acids readily available. BCAA capsules therefore have an anti-catabolic effect, meaning they prevent the breakdown of muscle mass. BCAAs are true all-rounders and are suitable for weight lifters, endurance athletes and team sports athletes. For endurance training in particular, the anti-catabolic effect of BCAAs is very useful. Endurance training involves physical exertion over a period of several hours. The majority of the energy is drawn from the muscles' glycogen stores. Once these are used up, endurance athletes run the risk of having valuable muscle protein converted into energy during long workouts. That can lead to premature fatigue or muscle cramps. Taking BCAA capsules before long endurance exercises can deliberately delay this process. This means endurance athletes can benefit from longer training cycles before reaching their physical limitations. BCAA capsules should be taken on an empty stomach about 30 minutes before training. When taking BCAA capsules on non-training days, take them in the morning to ensure your body is directly supplied with essential amino acids. A lot of protein shakes like our Whey Protein, Bio Protein and Vegan Protein contain BCAAs and contribute to the daily intake. BCAAs are also found in food. A high-protein diet will supply some of the BCAAs your body needs. BCAA-rich foods include peanuts, tuna and salmon, meat and quark. There is basically no risk of side effects when taking BCAA capsules if you follow the manufacturer's dosage recommendation. Generally speaking, BCAA capsules are very well tolerated so that even athletes with frequent stomach problems can take them. Overdosing on BCAAs is virtually impossible. If an overdose occurs, the excess is simply excreted in the urine. When buying BCAAs you should make sure that the ratio of the three essential amino acids leucine, isoleucine and valine is correct. 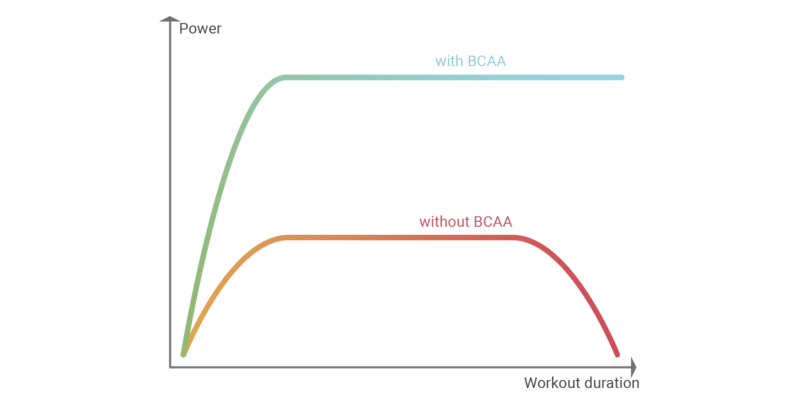 Lots of providers sell BCAA in the ratios of 4:1:1 or 8:1:1, i.e. with an increased leucine content. They use these ratios as they claim to have a stronger effect on muscle performance. However, the optimised ratio is and always will be 2:1:1. This ratio is exactly the same as the amino acid sequence in the body. As well as the ratio, you should also take the use and production of the raw materials into account when buying BCAA capsules. Amino acids are often extracted from raw materials like duck feathers and human hair. 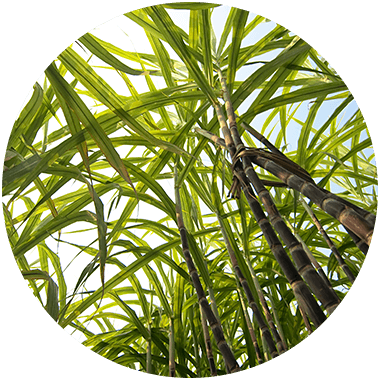 High-quality variations are produced by fermenting corn or sugar cane molasses to obtain the amino acids. Generally speaking, these have a significantly higher bioavailability and provide the body with more "real" essential amino acids. 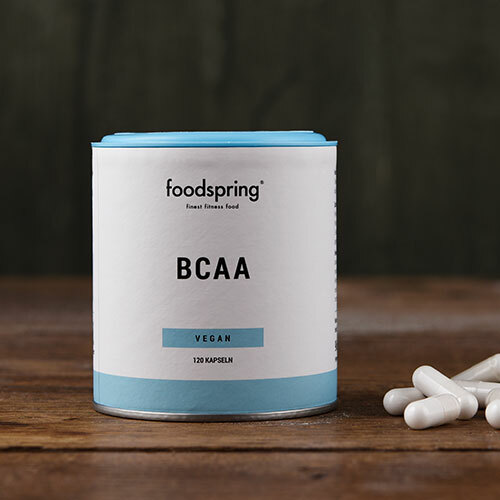 foodspring uses only raw materials of the highest quality for its BCAA capsules. All BCAAs are made from untreated corn. You can buy high-quality BCAA capsules made in Germany right here at our online shop. Why do you use plant-based raw materials in your BCAAs? Because natural = quality. 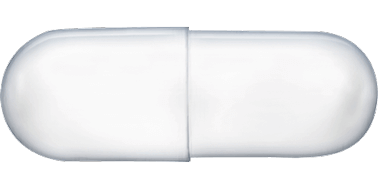 We only use plant-based ingredients to produce both the contents and exterior shell of our capsules. This means you get a 100% vegan product. Cool, right? Do you ever use human hair or duck feathers? We strongly oppose inferior extraction methods that involve human hair or duck feathers. While this process might be cheaper, it’s not compatible with our quality standards. Why do foodspring BCAAs use a ratio of 2:1:1? Following the principle of "more is more," many BCAAs available on the market use a ratio of 4:1:1 or even 8:1:1. But this isn’t always the best idea. For BCAAs to have the best possible effect, it’s crucial that the ratio of components be perfect. The body needs twice as much leucine daily as it does isoleucine and valine. It can only get the most out of the individual components pre- and post-workout if they’re provided in the right amounts. Studies show that leucine, isoleucine, and valine provide the body with the greatest benefits when combined in a 2:1:1 ratio. Should casual athletes also use BCAAs? Anyone who’s physically active can benefit from BCAAs, regardless of the amount of exercise they do or the sports they play. Whether you work out regularly or go to the gym just once or twice a week, as soon as you ask your body to perform, it needs energy. You use this energy when you use your muscles. Essential amino acids prevent muscle loss and can delay the fatigue caused by overexertion. Muscle maintenance and muscle building are an important part of physical activity, no matter how hard you push your body or what your goals are. Will taking BCAAs help me lose weight? BCAAs can play an important role in a low-calorie diet. Losing weight requires a negative calorie intake. But as soon as you achieve a calorie deficit, you run the risk of your body breaking down muscle tissue instead of fat. When you take BCAAs, they immediately provide your body with the amino acids leucine, isoleucine, and valine, meaning your liver doesn’t have to metabolize them first. These amino acids supply energy directly and prevent the body from tapping into muscle proteins. So when you’re trying to lose fat, BCAAs help you maintain a maximum amount of muscle tissue. BCAA capsules will be back in stock shortly.